If you’re looking for the leading LASIK provider in Montana, look no further than TLC’s Billings Laser Eye Surgery Center. The Billings team, headed up by our LASIK surgeon Dr. David Boes, is dedicated to providing superior quality laser vision correction to their patients. 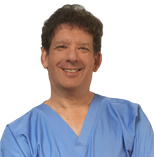 Dr. Boes has performed over 10,000 refractive surgeries. 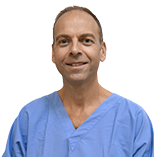 He has operated on many of his fellow physicians and surgeons as well as TLC staff, family and friends. Patients from across Montana, Wyoming and even the Dakotas travel to Billings to experience the superior level of patient care that TLC Laser Eye Centers provides. Schedule a Free LASIK Consultation in Billings today! Dr. Clausen received her undergraduate at South Dakota State University in Brookings, SD. and completed her doctorate degree at Pacific University College of Optometry in Forest Grove, Oregon. Co-managing of LASIK & PRK with TLC is a service that both Dr. Clausen & her husband, Dr. Bauer, provide. 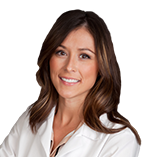 Dr. Kelley graduated from Xavier University in Ohio with a Bachelor’s Degree in Science in 2002. Dr. Kelley received his Doctorate Degree in Optometry in 2006 from Southern California College of Optometry and has dedicated himself to delivering the very best optometric care to each & every patient. Dr. Michael M. Monson graduated from the Southern College of Optometry (Memphis, TN) in May of 2004 & was one of the top graduates in the nation. Dr. Monson refers his laser vision correction patients to TLC-Billings, and year after year continues to co-manage many LASIK & PRK procedures with TLC. Dr. Menge is originally from Saco, Montana and received her doctorate in optometry from Pacific University. She had clinical training at Teplick Custom Vision, in Beaverton, Oregon for post-refractive surgery care. Dr. Menge started Hi-Line Eye Care, PLLC in 2014. 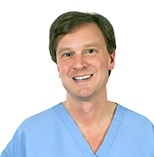 Dr. Tim Fehlauer strives to create a friendly, relaxed environment for all patients. He enjoys helping patients see their very best. He has worked with many patients who have undergone eye surgery and feels it is a blessing to be a part of this life-changing experience. Dr. Bauer attended undergraduate studies at The University of North Dakota-Williston & Rocky Mountain College in Billings and complete his doctorate degree at Pacific University College of Optometry in Forest Grove, Oregon. David & his wife, Dr. Robyn Clausen, both refer their LASIK patients to TLC. Dr. Harper received her undergraduate degree from Montana State University and finished her doctorate at Pacific University in 2012. Although fairly new to Advanced EyeCare, she specializes in the co-management of pre and post operative care of LASIK and PRK in the Bozeman area. Dr. Morgan Leach is your trusted family eye care provider. He provides comprehensive vision evaluations and detailed diagnosis and treatment of eye diseases. His office, True Vision Clinic, has a designer frame gallery, sunglasses, and contact lenses. He provides LASIK evaluations and co-management. Dr. Hoffmann practices primary eye care to the highest level, with an emphasis on making sure your glasses or contact lenses are perfectly suited for your prescription! He also treats eye disease, injury, and emergencies, and is known for his easy-going manner and thorough explanations. Private practice, primary care optometry. 1990 graduate University of Missouri St. Louis College of Optometry. Former TLC Clinical Director and Regional Clinical Director. Previous staff optometrist and Adjunct Assistant Clinical Professor, James H. Quillen Veteran's Affairs Medical Center.